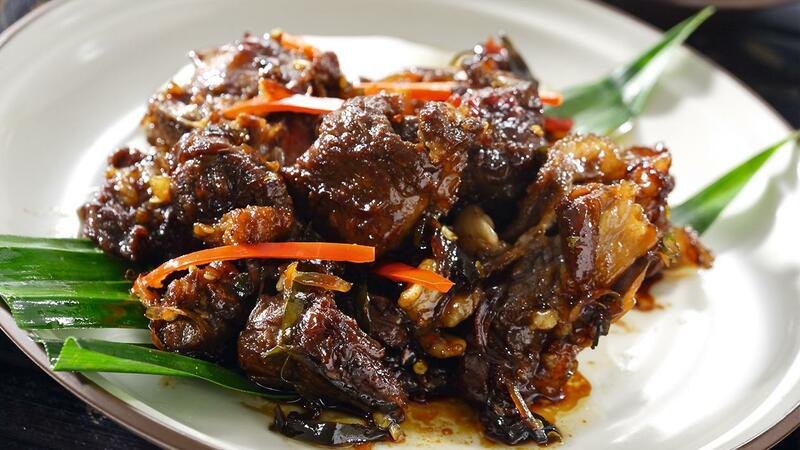 This rendang-like dish is a simply Javanese cuisine that full of sweet spicy taste. Marinate the lamb with salt and lime juice. Let stand for 30 minutes. Heat the oil. Enter the lamb. Stir until the color changes. Add onion. Stir until fragrant. Enter the cayenne pepper, red chili, green chili, bay leaves and lime leaves. Stir until wilted. Enter Bango Sweet Soy Sauce, salt, pepper and sugar the red. Stir well. Pour the water. Cook until soft and tender. Serve with Bango Sweet Soy Sauce.